Book your dream fishing trip today! Morning and afternoon trips available to accommodate your vacation schedule. We can also provide the bait and have top quality gear on-board. Shimano Talicas, Tiagras, Torsa, reels and Calstar rods. Founded by Capt. 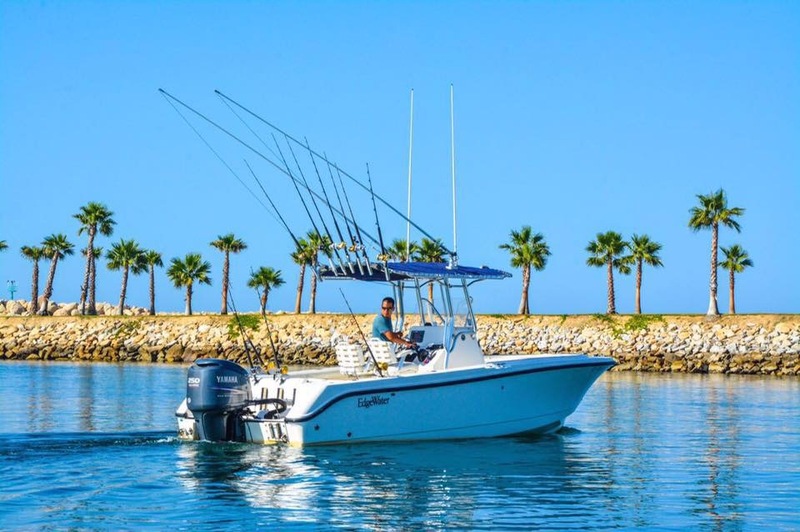 Gonzalo Castillo, a San Jose del Cabo local, who has fished these waters seriously for the past nine years using Puerto Los Cabos as his base of operations. He is following the tradition of his father and three older brothers who are all charter captains and tournament fisherman with many wins over the years. Fishing is his business. Capt. Gonzalo and his Jaqueline Sport Fishing operation is unique to San Jose del Cabo and Puerto Los Cabos in that he can offer whatever type of fishing experience fisherman coming to Los Cabos may desire. On the list of options depending on season he can offer: sport fishing for Marlin, Dorado, Tuna and Wahoo or bottom fishing for Snapper, Grouper and Amberjack. In addition to being the only charter service in Puerto Los Cabos offering fly fisherman the chance to catch a teased Marlin or Roosterfish on the fly! First time for the 4 of us to go out sport fishing. Gonzalo was professional, fun and made sure we caught fish. His boat is very nice. He keeps it very clean and the built in bathroom is a huge plus. I recommend Gonzalo to anyone who asks. I’ve been out with Gonzalo a number of times now, and the latest was today where I caught my first Marlin. A week ago we took out family friends: a Wahoo, a Marlin and a couple of bottom fish before a little whale watching on the way in. Three of us went fishing with Gonzalo Castillo as our guide over Labor Day weekend. He did a terific job of finding fish of all types that day as we caught, Dorado, Tuna, and Wahoo!! We were out early and back before lunch having caught our fill and then some! !